Paul Wall has done several tours with the the United Service Organizations (USO), a nonprofit organization that provides programs, services and live entertainment to United States troops and their families. In addition to giving back, Paul Wall says that when he was coming up, he wanted to get into the local business of making and selling grills. Paul Wall also says that Crime was the one to bring removable gold teeth to Houston, something the city didn’t have before. Paul Wall went on to say that after teaming up with Johnny Dang, they started selling them together. 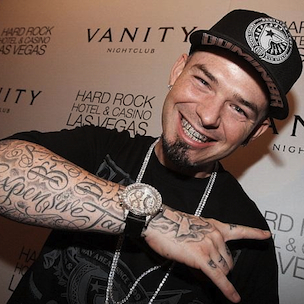 Paul Wall then became known for his custom grills, supplying them to Lil Jon, among others.